carried out by a special, and very secret, unit of military intelligence officers. But why would any decent Israeli want to protect the awful criminals who were involved in the mass murder of thousands of innocent Americans? With so much evidence of Israeli involvement on the table, one might think that there would be "righteous Jews" among the Israelis would be interested in solving 9/11. That is, however, not the case. There doesn't seem to be a single Mensch, i.e. a person of integrity and honor, who is truly interested in the truth of 9-11 among the Israelis; no righteous Jew" award to Israel. 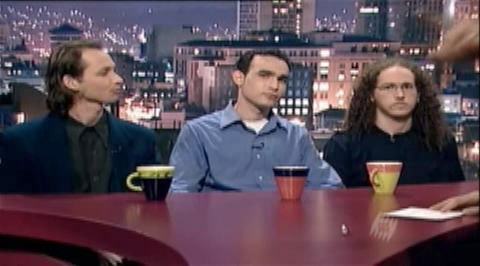 A good example concerns the footage from the Yair Lapid TV show from November 2001, which clearly shows the Mossad agents, the Kurzberg brothers, Sivan and Paul, sitting in the audience. Clearly many Israelis watched this show (without the English voice over) about the five Israeli terror suspects who were arrested on 9-11, but not a single one has written to me and told me that Yair Lapid points out the two Mossad agents sitting in the audience. Mossad agents Sivan and Paul Kurzberg were pointed out by Yair Lapid on the show. The Yair Lapid show featured three of the five Israeli terror suspects of 9-11. Omer Marmari, Oded Ellner, and Yaron Shmuel appeared on the show and were able to claim that they were not Mossad agents while the real Mossadniks sat in the audience. How's that for cooperation from our Israeli allies in the "war on terror"? And these are our "special" friends? With friends like them, who needs enemies? I often wonder how many Israelis know something about what really went down on 9-11. It must be several hundred, and that number is certainly growing. Do you have any idea how many Israelis live in the United States? More than a million or two, that's for sure. New York, Florida, and Los Angeles are all heavily infested with them. Many of them are involved in serious criminal activities and intelligence operations against the people of the United States of America. Homeland security? What a joke. Who's in charge? Michael Chertoff, an Israeli - and the son of the Mossad agent, Livia Eisen. Joseph Lapid, the Israeli former justice minister, died on June 1. He was 76. Lapid was born Tomislav Lampel in 1931 in the former Yugoslavia to Hungarian parents. Lapid's family spent the war in Budapest, according to the Associated Press. He became the chairman of the board of Israel's "holocaust" museum, Yad va Shem (hand and name). Budapest, however, was not a concentration camp. The Lampel family was "seized" by the Nazis, according to AP, and forced to live in Budapest. What holocaust happened in Budapest? A shortage of wine at the spa? The Lampel's are lucky they were not sent to Dresden; that was a real holocaust. People I know were there and saw what holocaust really means. "Tommy was a Holocaust refugee, who lived the Holocaust experience his entire life," Prime Minister Ehud Olmert said at the weekly cabinet meeting. "Tommy Lapid was a Jew in every fiber of his soul. We lost a precious man, a dear Jew and a friend who cannot be replaced." Tomislav Lampel, a.k.a. Tommy Lapid, a Hungarian Jew who served as Justice Minister under the notorious war criminal Ariel Sharon, spent the war with his family in Budapest. Lapid was "a Holocaust refugee" living in Budapest with his Hungarian parents? Why was this Hungarian Jewish family considered refugees in the capital of Hungary? How can Hungarians in Hungary be considered refugees from Yugoslavia? Olmert opened the meeting by saying "Tommy Lapid was my closest friend, my most-loved friend for dozens of years." In 1999, he entered politics as head of the secularist Shinui Party. He led the party to a surprise performance in 2003 elections, gathering 15 seats in the 120-seat Knesset and securing him the post of justice minister under Prime Minister Ariel Sharon, AP reported. So Tommy Lapid was "justice minister" in a government headed by one of the most notorious war criminals and genocidaires of the 20th Century. What an honor. Yair Lapid is the television host who interviewed three of the five dancing Israelis in November 2001. While reviewing the video from the Yair Lapid show, I realized that Yair Lapid actually points out the other two Israelis from the team: Sivan and Paul Kurzberg, the Israeli intelligence agents who were known to U.S. law enforcement when they were arrested on 9-11. Yair Lapid is the host of a popular Israeli television talk show. Note: Lapid points out the Kurzbergs at about 29 seconds into the video extract. The one on the left has short hair, the one on the right has longer hair. Note the very similar eyes, nose, and chins. The Kurzberg brothers were clearly not allowed to be interviewed on television by Israeli intelligence. This way the three men being interviewed could pretend that they had nothing to do with the Mossad, while their Mossad bosses sat in the audience. Watch the faces of the three men when Yair points out the Kurzbergs in the audience. Can you see the guilt in their faces? similar although their hair styles are quite different. enforcement when they were arrested on 9-11 after having been observed filming and celebrating the destruction of the World Trade Center. These men are Israeli terrorists who were clearly involved in the false flag terror attacks at the World Trade Center. See: "9-11 Mossad Agents Admit Mission: 'Our Purpose Was To Document the Event' "
Voxeo, the mysterious telephone-computer universal messaging company that tallied the Iowa caucus results in 2004 – and probably also in 2008 – is closely tied to the Israeli military and the Israeli criminals, e.g. Kobi Alexander, and the technology stealing companies that are known to have had prior knowledge of 9-11. It should be no big surpise that pro-Israel and pro-war Democrats such as John Kerry and Barack Obama won Iowa -- when you consider the Israeli company who controlled the data. According to the results of the Iowa caucus of January 3, the most pro-war Democratic candidate, Sen. Barack Obama from Chicago, is now the front runner in the presidential race of 2008. How odd. In the party - and the nation - in which large majorities are strongly opposed to the illegal, costly, and disastrous wars in Iraq and Afghanistan, Mr. Obama won against all odds. His Israeli colleague from Chicago, Rep. Rahm Emanuel, the son of an Irgun (Zionist) terrorist, is certainly well pleased. Rep. Rahm Emanuel is an Israeli member of Congress from Chicago. His father was a member of the Zionist terrorist gang, the Irgun. Many of the current Israeli leaders have similar pedigrees. How very odd that the young black senator, whose father came to America from Kenya, won the caucus in a rural state with one of the smallest black populations in the United States. The population of Iowa is 95 percent white and is only about 2.5 percent Black/African-American. What is it that makes Mr. Obama so popular with the white farmers of Iowa? Is it his willingness to enlarge the war to Iran? Are the people of Iowa eager to wage nuclear war in the Middle East? As a person who has spent a lot of time in Iowa, I must say that I don't believe, in the slightest, that the results of the Iowa caucus are correct. It's just like the Iowa caucus of 2004, when the Skull & Bones boy and pro-war candidate Sen. John Forbes Kerry of Massachusetts unexpectedly won. Kerry was in 5th or 6th place in Iowa polls going into the caucus and - against all odds - came from behind to win. A miracle must have happened – or was it fraud? In my December 31, 2007 article, entitled "Elron - Voxeo: The Israeli Defense Firm That Tallies the Iowa Caucus," I explained the basics about how the results of the Iowa caucus have been tallied by a company connected to Elron Electronic Industries, an Israeli company closely connected to the Israeli military. Voxeo handled the data in 2004 and probably played the same role in 2008. Although I have been investigating the Voxeo connection to the Iowa caucus since 2004, the early caucus in Iowa caught me by surprise coming so soon after the New Year. When I heard it was coming up on Thursday after the New Year I knew I had to write about this bizarre out-sourcing of the results of the Iowa caucus to Voxeo, the mysterious company connected to the military establishment of the State of Israel. I had at hand my correspondence with officials in the State of Iowa about the subject of Voxeo tallying the results of the Democratic caucus in 2004. In that correspondence, however, it is very clear that my information came from individuals within the Democratic Party of Iowa and that this is a subject which the public and the media are not supposed to know about. Everybody wanted to deny Voxeo's role, but I was very fortunate to have learned that Voxeo was involved in the 2004 caucus during a visit to the Democratic Party Headquarters in Des Moines in the summer of 2004. Voxeo was clearly the data bottleneck or check-point through which the caucus results were "fixed" to give Kerry the state of Iowa in 2004 – and probably giving Sen. Obama the state in 2008. There is no other logical reason for an out-of-state company tied to the State of Israel to tally the results. It makes no sense at all for the Iowa caucus results to be handled by anyone other than the officials of the Iowa Democratic Party – unless, of course, there is a pressing need to manipulate the data before handing it back to the party officials in Des Moines – and the press. As I noted in the December 31st article, Jonathan Taylor, the CEO and President of Voxeo, worked for several years (1997-1999) producing software for MediaGate Inc., the Israeli company owned by Elron, which had bought his company InterResearch and Development Group (IRdg), Inc. in 1997. IRdg became a division of MediaGate at that time. IRdg, founded by Taylor and his colleague John Higgins in the Orlando area in 1995, became the Central Florida division of MediaGate of Ra'anana, Israel in 1997. Although all U.S. media reports suggest that MediaGate was a Silicon Valley company in the San Jose area, this is nothing but dishonest reporting. I have not found a single article in the U.S. media that correctly reported that MediaGate was an Israeli company. How very odd. Like other Mossad spawned companies in the United States, MediaGate is based in Israel, in Ra'anana. It only maintained two offices in the United States in order to buy (and perhaps steal) technology and re-sell it to gullible and naive Americans. That is the basic Israeli business model in America. The technology the Israelis obtained from IRdg was message retrieval software which combined Internet, phone-mail and fax communications. Messages in any form can then be retrieved via computer or telephone. How useful. Can anyone with the right connection then retrieve these messages? Could this be where those strange phone messages from 9-11 victims came from? You might notice the similarity of this American-designed telephonic-computer technology to the Odigo system owned by Israel's Comverse and its criminal CEO Kobi Alexander and his fellow Mossadniks. This is the technology which was used to convey instant text messages warning of the attacks at the World Trade Center – several hours before the attack. Odigo didn't develop this technology or software – they stole it. Comverse is closely connected to MediaGate and obtained the IRdg technology through the Elron subsidiary. Elron, the parent company who owned IRdg, and for whom Mr. Taylor wrote software for two years, is also the parent company of Elbit, "a leading factor in defense electronics in Israel." The technology that Elron obtained through its subsidiary MediaGate in 1997 became the property of the company that develops "defense electronics" for the State of Israel. Taylor and his software team then went to work for the Israelis – in California. In late 1999, Taylor and Higgins "left" MediaGate to start a new company, Voxeo, with Gary L. Reback, the Jewish lawyer from Knoxville, Tennessee. The Reback family has strong ties to B'nai B'rith (a secret Jewish Masonic organization founded in New York in 1843) and the State of Israel. Reback is best known for his central role in the bizarre lawsuits against Microsoft. Reback, the Zionist lawyer who founded Voxeo, was the first CEO of the company, which he left his high-profile law firm to found. He only stayed in that position at Voxeo for less than one year – until the transition was complete. His job was done. If this sounds something like the way the Worcester, Mass. Zionist Jewish lawyer named Michael Goff, another son of B'nai B'rith, founded Ptech, you are seeing the pattern. Voxeo and IRdg are cut from the exact same pattern – the Mossad model of doing business in America: the cut-out. The Voxeo story and its role in the Iowa caucus is very important because it shows the real mechanism how the Israeli military is able to control elections in the United States. There are all kinds of connections between Voxeo and Mossad and 9-11. The Israeli criminal high-tech gang is rather small, after all. The Voxeo and IRdg caucus-fixing story from Iowa reaches much further than Des Moines. It touches points across the Israeli network that is involved in 9-11 at the highest level. Voxeo and IRdg are not just fixing the Iowa caucus results. They are closely connected to 9-11 and the technology thieves who were behind that huge crime. It's nice to see that Voxeo is responding to my article about their alleged involvement in the Iowa caucus of 2004. This is certainly more than the other privately-held companies running U.S. elections do and is commendable. It's interesting, however, that Dan York of Voxeo does not address the most pertinent questions that my article raises: Did Voxeo handle the Iowa caucus phone tally results in 2004 and 2008? What exactly are the connections between Israel and Voxeo, IRdg, and Jonathan Taylor, the CEO and founder of both Voxeo and IRdg? It has been reported in the press that Taylor's IRdg company and technology were acquired by MediaGate, the Israeli subsidiary of Elron Electronic Industries in 1997. From that point, Mr. Taylor and his software team wrote software for their Israeli parent company, MediaGate, from late 1997 until at least late 1999. There are many connections and links between Taylor, the CEO of Voxeo and Israeli intelligence. It may be that Mr. Taylor is not fully aware of the degree of Mossad involvement in the companies he co-founded. Jonathan Taylor, the co-founder and current CEO and President of Voxeo, was one of the founders of IRdg with John Higgins in Winter Park, Florida. Higgins and Taylor ran IRdg from 1995 until 1997, when their company was acquired by MediaGate of Ra'anana, Israel. MediaGate, at the time, was a subsidiary of Elron Electronic Industries, the parent company of Israeli defense electronics company Elbit. Elron is closely connected to the Israeli military and its intelligence agencies. MOSSAD'S CORPORATE NETWORK IN THE U.S.A.
One needs to understand how the Mossad corporate network works in the United States to acquire American technology. It spawns companies that are U.S. branches of the Mossad-controlled parent company in Israel. The Mossad has venture capital funds to enable the acquisitions by this network and to create branches and "cut out" companies, some of which have American or Arabic staff to give the impression that they are an American or Arabic-owned company. If we look at the directors of Elron Electronic Industries, the parent company who acquired IRdg and for whom Mr. Taylor wrote software for about two years, we can see some of the key players in this network. For the purpose of this brief article we will only look at one, a Mr. Ari Bronshtein, who the company's website says joined Elron as a director in March 2006. The Elron website says that Mr. Bronshtein served as Manager of business analysis at Comverse Technologies, Inc. from 1999 to 2000. How interesting. Comverse is the company that was headed by Kobi Alexander who stole several hundred million dollars and is now a fugitive of U.S. justice in Namibia. Mr. Bronshtein must know Mr. Alexander and have a good idea of how this criminal activity took place. He was, after all a senior manager of the Israeli-owned company that was stealing the American money and technology. Comverse was also an owner of Odigo, which evidently acquired the IRdg software through its connection to MediaGate, the company that Jonathan Taylor was writing software and which owned IRdg, lock, stock and barrel. As the Jerusalem Post wrote about MediaGate in 2000: "MediaGate, which was founded seven years ago and has two offices in the U.S., has developed the iPost server, which can unify all kinds of messages: voice, fax, e-mail, paging, data, video, voice over Internet Protocol and video over IP." When MediaGate took over IRdg in 1997, the Orlando Sentinel wrongly described it as a company from San Jose, California, and said it had been "founded by several Silicon Valley veterans." The reader is deceived and given no indication whatsoever that this is a foreign company acquiring American technology and software. IRdg, which had only launched its product, had created a message retrieval system which combined Internet, phone mail, and fax communications. Messages in any form could be retrieved via computer or telephone using the product developed by Taylor and Higgins in central Florida. This is what MediaGate said it developed and what Odigo wound up having. Odigo, which was owned by Comverse, came out with the same technology that IRdg had developed. How did they get it? Ask Mr. Bronshtein and Kobi Alexander. This is actually how the Israelis obtain most of their technology. They buy it or steal it. In this case, with Taylor and IRdg, they have probably done both. Odigo used this American-invented technology on 9-11 to send instant text messages to other Israelis on their Hebrew-language "buddy list" telling all Israelis to avoid the area of lower Manhattan on the morning of 9-11. Most of them decided to stay home that day, as we now know. It is interesting to note that Mr. Bronshtein has also served as chairman of the investment committee of Stage One, one of the high-tech venture capital funds run by Israeli military intelligence. Stage One was one of the investors in Guardium, another Mossad-spawned company, which Michael Goff worked for. Michael S. Goff, a lawyer from Worcester, Mass., ran Ptech from the beginning in 1994. Goff, who was responsible for the procurement of all Ptech software, also worked for the Mossad software company, Guardium. Photo from Goff Communications. This photo and description of Mike's work at Ptech was removed shortly after I exposed his connection to foreign intelligence. Michael Goff is the Jewish and Zionist son of B'nai B'rith super Masons who quit his legal practice in Worcester to start a company with some Lebanese Muslims and Saudi financing called Ptech in Quincy, Mass. Ptech is an example of the Arab cut-out I described above. It was an Israeli-run company designed to appear Muslim. Why would they do that, you ask? Because Ptech was involved in infiltrating the computer networks of the U.S. government and military. 9-11 "truth seekers" actually presented the Arab facade of the Ptech cut-out at 9-11 conferences in 2002 in a sophisticated attempt to blame Arabs and Muslims for 9-11. We were not all deceived by this song and dance, however. Oussama Ziade, a Lebanese Muslim immigrant who came to the United States in 1985, is said to have founded Ptech in 1994. But the company's original manager of marketing and information systems was Michael S. Goff, whose PR firm, Goff Communications, represented Guardium, a Mossad-linked software company. "As information Systems manager for Ptech, Michael handled design, deployment and management of its Windows and Macintosh, data, and voice networks," Goff's web site said at the time I exposed Ptech's connection to the Mossad in April 2005. Goff also "performed employee training and handled all procurement for software systems and peripherals." So Goff, who works with Mossad's Guardium, was responsible for "all procurement for software systems" at Ptech. Can I make this any clearer? I asked Goff, who left the Worcester law firm of Seder and Chandler in 1994, how he would up working at Ptech. "Through a temp agency," Goff said, but he could not remember the name of the agency. Why would a well-educated lawyer working in a firm in his home town suddenly become a Kelly Girl temp? Or was it an assignment through Sayan Temps of Mossad? Goff told me that he did not know who had written the Ptech software code. Thanks to Goff, however, this mysterious Ptech enterprise software wound up on all the U.S. government computers and played a key role in the confusion that prevailed on FAA, NORAD, and Air Force computers on 9-11. Michael Goff's role in launching Ptech is very similar to Gary L. Reback's role in launching Voxeo. Reback quit his law firm to start Voxeo as the company's first CEO from 2000 until the spring of 2001, and then he suddenly quit, less than a year later, and went back to practicing law. How odd. There is much more to this Mossad network and its connections to Voxeo's Jonathan Taylor and IRdg. I am providing this basic framework in the hope that the good people at Voxeo might stop laughing and realize that there is much more to my assertions than hot air. "But because computers are involved here, there’s a possibility of bugs and of criminal modifications to the software, either at Voxeo or in the web server hosting the web application." The United States has become a nation enslaved by lies. The fundamental deception of our time is clearly the pack of lies about what happened on 9-11. The so-called "War on Terror," the USA PATRIOT ACT, and the subsequent illegal invasions and occupations of Afghanistan and Iraq all ride on the back of this immense lie. The lie that has enslaved the nation was pushed on the people by the unelected regime of tyrants and the Zionist-controlled media. The high-level people who planned and protected the 9-11 lies, like the Israeli-American Asst. Attorney General Michael Chertoff, are the chief architects of the reign of terror that has followed. Chertoff, for example, is the primary author of the USA PATRIOT ACT and the head of the Dept. of Homeland Security. What is most disturbing about the tyranny of lies in America is the appalling lack of protest from the so-called "free press," academia, and the churches in the face of such blatant and dangerous deception. If not the truth, what do these institutions really stand for? Why have so many physics professors and structural engineers gone along with such outrageous lies about the collapse of the three World Trade Towers that collapsed on 9-11? Why has the scientific community rolled over and accepted the falsehoods that were presented as science in the aftermath of 9-11? Instead of challenging the nonsense about the collapses that was presented to the public by a bunch of lousy immigrant "scientists" who could barely speak English, the American scientists who really should know about steel-framed skyscrapers just rolled over. Much of the worst science came from engineers who live and work near my home in Chicago. W. Gene Corley and Zdenek P. Bazant will certainly go down in the history of science as two of the most servile and corrupt engineers in U.S. history. Corley headed the government's 9-11 (FEMA & ASCE) engineering study, as he did for the mass murder at Waco and the Oklahoma City bombing. Professor Bazant authored a paper on what caused the collapse of the twin tower that was published two days after 9-11. Bazant's purpose was not to bring attention to himself. Bazant's purpose was to present a plausible explanation for the government and media in order to prevent the public and independent scientists from asking the obvious questions and doing their own investigation and analysis. The last thing the architects of the false flag terror wanted was for people like Van Romero of New Mexico Tech to start talking to the media about the evidence of explosives in the towers, which Romero did on 9-11. The silence of the larger engineering and scientific community indicates that these experts and engineers are either unable to understand what happened on 9-11 or that they are controlled by forces that prevent them from speaking out. In either case, it is quite clear that most members of the scientific community in the United States are simply afraid to challenge the lies of the government and media. When Steven E. Jones, a professor at Brigham Young University, was attacked for his research and article on the collapses of the World Trade Center there were very few members of the academic community who came to his defense. The public had been waiting for years for someone in the scientific community with Jones' credentials and expertise to come forward and challenge the lies about 9-11. When he did, he was knocked down – most unfairly. As I said, there must be other forces, political forces, acting on this community. When things get really serious they certainly do not stand up for the truth – or good science. Very few scientists have joined with Dr. Jones or the 9-11 truth movement in spite of the blatant lies that must really bother those scientists who can see through them. Recently, Anders Björkman, an independent structural engineer from Europe, has written a response to the conclusions of Zdenek Bazant of Northwestern University about what caused the collapses of the World Trade Center. Björkman, a Swedish naval architect and engineer, has exposed the biggest fraud in maritime history behind the 1994 sinking of the Baltic ferry Estonia. Now he has joined the discussion about the demolition of the World Trade Center with an article in which he does a good job of disproving Bazant's "false theory" that burning jet fuel brought down the twin towers. Björkman's article was written for "children and amateurs of skyscraper design who want to get a better understanding of the world around us." He "describes the structure of the World Trade Center Twin Towers and what happens when the release of potential energy, due to downward movement of the mass above one of its supporting columns when buckling, exceeds the strain energy that can be absorbed by the same column below." He concludes that "no global collapse of the Towers can ensue under the given circumstances." He even describes a simple test that can be done to see how the steel in the towers would have responded to the 500 degree C. heat it was exposed to. The suggestion that the Tower cages collapsed due to release of potential energy at the top exceeding the strain energy of the cage structure in the initiation zone and later below is not demonstrated by NIST and Z P Bazant and not supported by any evidence what so ever or any serious structural analysis. The picture above does not show a global collapse due to floors falling down or a hammer hitting a nail ... or a child jumping in a bed! The second clip is even more interesting. This is a Dan Rather interview with Jerome M. Hauer, the first director of the Mayor Rudy Giuliani's Office of Emergency Management (OEM). Not only does Hauer second the opinion that burning jet fuel brought down the towers – he even goes so far as to put the blame on Osama Bin Laden. No wonder they call him a "Terrorism Expert." This is a very important video clip because it shows how Jerome Hauer, the former director of OEM, was instantly ready to speak to the mass media about the attacks in New York – from San Diego, I presume. The buildings had just collapsed but Hauer, from a distance, stated that the "velocity" of the planes and the fuel were responsible for the collapses, which certainly looked explosive to real explosion experts, such as Van Romero of New Mexico Tech. Hauer then went on to say that the attacks carried the "fingerprints of Osama bin Laden." How could he possibly make such a damning determination of responsibility before any evidence had even been collected? Hauer did not work in New York on 9-11. He had left his position as head of the director of the OEM in New York City in February 2000. He had then joined Science Applications International Corporation (SAIC), a large consulting concern based in San Diego, as a vice president and associate director of its Center for Counterterrorism Technology and Analysis. Like Benjamin Netanyahu, Jerome Hauer is a Zionist expert on terror. Hauer was the first director of Mayor Giuliani's Office of Emergency Management. He directed the agency since 1996, when Giuliani shifted responsibility for the city's emergency preparedness from the Police Department to the new agency – headed by Hauer, a person he did not even know. How odd. Mr. Giuliani and Mr. Hauer began their relationship in January 1996 when Mr. Hauer was hired to lead the new Office of Emergency Management, created to coordinate the city’s response to crises. Mr. Hauer, who was little known before he became a Giuliani aide, had previously run emergency management programs for the State of Indiana and IBM. Oddly, the New York Times never mentions Jerome Hauer's deep family roots in the New York Jewish Zionist community. From reading the Times, one might think that Hauer is from Indiana. This can only be intentional. Hauer's mother, Rose Muscatine Hauer, is the retired Dean of the Beth Israel School of Nursing and the Honorary President of the New York Chapter of Hadassah, the Daughters of Zion movement that is one of the central Zionist organizations involved in the creation and maintenance of the State of Israel. Jerome Hauer is the son of the late Milton G. Hauer and Rose Muscatine who married April 4, 1949. His mother's parents, Hyman David Muscatine (1881-1964) and Rebecca Bertha (nee Gartner), were Hebrew-speaking Zionists. They both came to the United States in 1908-1909; Hyman from "Russia Poland" in 1908 and Rebecca from the Austrian Empire in 1909. His father's parents, Moritz and Gussie Hauer, immigrated from Hungary before the turn of the century. Jerome Hauer, however, is best known for being the director of the OEM when he made the decision to build a $13 million crisis center on the 23rd floor at 7 World Trade Center. This bizarre crisis center was unveiled in June 1999, and became the subject of tension between the agency and the Police Department, whose own command center at 1 Police Plaza had until then been the focus of emergency preparedness operations. Jerome M. Hauer, who has strong family connections to the State of Israel, built the bizarre crisis center for the Office of Emergency Management in Larry Silverstein's WTC 7, the 47-story tower which was demolished by explosives in the afternoon of 9-11. As the first director of the new crisis center, "one of Hauer’s first tasks was to find a home for an emergency command center to replace the inadequate facilities at police headquarters," according to the Times. Reports indicate that the OEM crisis center at the World Trade Center was not being used on 9-11 by the usual personnel. The center had been temporarily relocated to Pier 92 on Manhattan’s West Side, due to a FEMA drill which was supposed to begin on the day after 9-11, according to statements made by Mayor Giuliani. So who was in the OEM center in Larry Silverstein's building on 9-11? That's the question the needs to be answered. Hauer's "crisis center" for the Office of Emergency Management occupied the 23rd floor of the Israeli-built tower owned by Larry Silverstein. It should be noted that the OEM crisis center was constructed (like the damaged section of the Pentagon) by the same British company (AMEC) who was contracted to clean up the rubble from the WTC and the Pentagon. The blast-proof bunker occupied the floor with the blue glass stripe, about halfway up the tower. The OEM crisis center in WTC 7 is suspected as being the control center for the pre-planned demolition of the towers. The center, and all of the evidence of the crime, was destroyed when the 47-story tower was completely demolished at about 5:25 p.m. on 9-11. This blast-proof command and control bunker with its own air and water supply was fortified to withstand incredible forces. What role did it play in the demolition of the World Trade Center? So, who decided to build the OEM crisis center in the only WTC tower actually owned by Larry Silverstein? It was Jerome Hauer, of course. "Mr. Hauer said he decided that offices on the 23rd floor of 7 World Trade Center, next to the twin towers and just a few blocks from City Hall, seemed the best choice," Russ Buettner of the New York Times reported in May 2007. "Jerry Hauer recommended that as the prime site and the site that would make the most sense," Mr. Giuliani said. "It was largely on his recommendation that that site was selected." This is, in fact, the one characteristic that is shared by all of the people who played key roles in setting the stage for the most disastrous terror attack in U.S. history – or covering up the truth afterwards. This is not to say that these individuals are all necessarily witting accomplices in the crime. It is actually more likely that they were used, almost like mules, and because of their devotion to Israel they were placed in positions where they could be influenced to make decisions that would facilitate the attacks, demolitions, and subsequent destruction of the evidence and obstruction of the discovery and litigation processes to obtain justice for the victims. One of the most peculiar things about investigating 9-11 is that a whole slew of Zionist criminals, a group of people which is evidently involved in the terror attacks in one way or another, is completely ignored by the controlled media. The accepted history of 9-11, based as it is on the controlled media's interpretation of events, completely ignores the evidence that Israelis and high-level Zionists in the United States played key roles in the terror attacks. As George W. Bush travels to Israel to meet with the nuclear and real terrorists Shimon Peres and Ehud Olmert, I feel compelled to point out a few of the most obvious and basic connections between the Zionist criminal network and the terror attacks of 9-11. The Roman senator Cornelius Tacitus, the historian of the 1st Century A.D., realized that most of the contemporary history of Rome was propagandist. As a senator and governor of Asia he certainly knew what he was writing about. "His task, it seemed to him, was to denounce implicitly or explicitly the grosser lies of partisan historians," Kenneth Wellesley, the Latin scholar, wrote in his introduction to The Histories by Tacitus. Like Tacitus, I feel compelled to denounce the "grosser lies" of our own very partisan and propagandist history. Nineteen centuries have passed since Tacitus wrote about the Roman Empire, but there are striking similarities that can be seen between Rome in the 1st Century and the United States in the 21st Century. "Italy itself fell victim to disasters which were quite unprecedented," Tacitus wrote. "Rome suffered severely from fires that destroyed its most venerable temples, the very Capitol being set alight by Roman hands." Sounds a bit like 9-11, doesn't it? I discovered that Ehud Olmert, the current Israeli prime minister, had visited New York City the very day before 9-11. While I have no information about where Olmert was on 9-11, I suspect he was in New York City on the day disaster struck. In the same way Rabin was in Dallas when J.F.K. was shot and "Bibi" Netanyahu was in London on July 7, 2005. These are not merely coincidences. Olmert was the right-wing Likudnik mayor of Jerusalem when he made his secret visit to New York City on September 10, 2001. This is extremely odd, something I have pointed out to my readers. The Irgunist (a Zionist terror gang) mayor of Jerusalem, New York's sister city, visits on the eve of the worst terror attacks in U.S. history and nobody even notices? How can that be? It needs to be pointed out that Ehud Olmert played a very conspicuous role in 9-11 events in New York City promoting Jerusalem as the sister city fighting terrorism and all that Zionist nonsense. But nowhere did he ever mention that he had been in New York on the day before terror struck? Why not? Why wouldn't he say something like "I was here the day before." Why would Mayor Olmert conceal the very fact of his visit to New York on the day before the terror attacks? Where did he spend the night? Was he with Moshe Talansky? Where was he on the morning of 9-11? Why are none of the reporters at the New York Times or any of that city's fine newspapers running after this story? What is Olmert hiding? Don't they care? "Olmert spent yesterday in Toronto helping the United Jewish Appeal celebrate the official beginning of its annual fundraising drive." I discovered that Olmert went to New York City on September 10-11. This information was contained in a Jerusalem Post article about the purchase of the Likudnik football club Betar. It should be noted is that the Likudnik (Irgunist) Olmert was meeting with senior officials of the United Jewish Appeal in Toronto about 36 hours before New York City was bombed by false flag terrorists. WHAT IS THE UNITED JEWISH APPEAL? The United Jewish Appeal (UJA) is the common denominator of all the key players of 9-11. The key 9-11 culprits that I have already shown are linked to the UJA include Larry Silverstein, Frank Lowy, Lewis Eisenberg, Rupert Murdoch, and Sam Miller of Cleveland. These are key players in the events of 9-11. Is there a connection? The standard description of the UJA from news clippings from the past describes it as the fund-raising arm of the American Jewish Committee and the Anti-Defamation League of the B'nai B'rith (ADL). Florida was the central networking base and staging area for the "false flag" terror attacks of 9-11. Fifteen of the nineteen Arabs allegedly involved in the hijackings, for example, lived and had their base of operations in South Florida. "False flag" means a crime which is designed to be blamed on others in order to achieve a strategic and political goal for the real perpetrator of the crime. To understand how this strategy is used in false flag terror operations I recommend reading The Little Drummer Girl by John Le Carré and watching the movie by George Roy Hill. Victor Ostrovsky's books about the Mossad are also recommended reading. The Little Drummer Girl was written with input and advice from many Mossadniks, including a former head of Israeli military intelligence. Most of the book deals with the way Mossad creates a completely false history for a Palestinian "terrorist" by leaving a trail of traces across Europe. A false history is exactly what was created in Florida, albeit on a much larger scale, with the 15 Arabs "hijackers" whose identities were used to create a false history prior to the attacks of 9-11. There are, however, obvious flaws in this history, which will be taken up later. That a false history was being laid was quite clear from published reports: "At least six of the suspected terrorists had two sets of driver's licenses issued by Florida, which would have allowed two or more people to use the same identity," the Sun-Sentinel (Florida) reported on September 28, 2001. "Many of the suspected terrorists, it is becoming increasingly clear, swapped identities as part of their preparations for the Sept. 11 attacks on the World Trade Center and the Pentagon, according to a Sun-Sentinel review of documents, interviews and published reports." But why, and by whom, were the "hijackers" identities being swapped? Were these Arab suspects even aware that their identities were being used by others? "These guys were just committed zealots and willing to give it up for the cause without really being key members of the network," Larry Johnson, former deputy-director of counter-terrorism for the U.S. State Department, said. "They were told what to prepare for, what to train for. They were not the ones calling the shots." "They were, however, extremely well organized," Johnson said. But who was really "calling the shots" if not them? Are we supposed to think that Osama Bin Laden or Khalid Sheikh Mohammed were truly the brains behind this organization? "We don't have anything in history to compare with this," Johnson said. "The only thing that comes close to it is a former Soviet intel [intelligence] operation." So who was really running the terrorist network in Florida that resembled a Soviet intelligence operation? A preponderance of evidence indicates that Israeli military intelligence was the master organization behind the "Arab" terrorist network based in Florida. My discovery that the current Israeli prime minister, Ehud Olmert, made a secret visit to New York City on the eve of 9-11 has provided significant pieces to the puzzle about the Israeli intelligence network in Florida and its role in the terror attacks. I have experienced several remarkable coincidences related to the events of 9-11. The first was my wife's vivid dream about our family being attacked by airplanes, which she experienced a few days before the actual aerial attacks occurred. What is most remarkable about this coincidence is that Helje related her dream to me as we drove through New York City in the early morning hours of September 11, 2001, about 7 hours before the first plane struck the North Tower. At the time, most of these awful skyscrapers were still under construction and the fences around the site were plastered with even more frightful posters of the developers, or "the visionaries": Donald Trump and his Israeli partners, Michael and Gil Dezer. Michael Dezer is a veteran of the Israeli Air Force who immigrated to the United States in 1962. The Dezers and Florida Friends of the Israel Defense Forces hold annual poker tournaments "to benefit the soldiers of Israel." We went for a walk along Collins Avenue the next evening and stopped in a large beach store called "Wings," about a block north of our hotel, looking for a bathing suit for my daughter. The logo for the store reminded me of the "wings" an Israeli pilot wears on his chest. My wife noticed that the screen saver on the computer behind the counter was an Israeli flag that covered the entire screen. As we turned to leave I remember saying to my family that these were the people who had pulled off 9-11. This was my gut feeling. This was my intuition speaking and it must have been based on what I had noticed in and around the store. I felt very strongly about this. Having visited Florida, California, and the Caribbean I have seen all kinds of surf and beach stores but this store was something else. The Wings store at 17700 Collins Avenue is a very large free-standing building with a high ceiling and a huge windowless space behind the store. There were two trucks parked in the store's parking lot on the side of the building. The huge windowless warehouse space behind the store seemed way out of proportion for a simple beach store. How much space is required to store bikinis, Tee-shirts, and sea shells? Most beach stores get by with very little storage space -- but not Wings. Every time we walked by, the Wings beach store was always empty. This made it seem very suspicious because they must have very high overhead costs. Nothing about this store made sense. It seemed more like a logistics base that operated the beach store as a front, not unlike the shuttered Urban Moving Systems (UMS) outfit I had visited in Weehawken, New Jersey. UMS was the fake moving company, across the river from the World Trade Center that was exposed as an Israeli intelligence (Mossad) front. The five dancing Israelis arrested on 9-11 after being observed photographing and celebrating the destruction of the World Trade Center worked for that Mossad operation. Dominic Suter, the head of UMS, was allowed to flee the United States shortly after 9-11 although he was considered a suspect by the F.B.I. Apart from the young man working inside the Wings store there always seemed to be an Israeli man of military age coming or going near the store. This seemed very strange for a beach store in a very quiet part of town. Most beach stores in Miami are small boutiques run by women or retired people. The staff is always female. Young military age men from Israel are the last people one would expect to find running a bikini boutique in Miami. It turns out that Wings has a whole chain of stores in Florida and up the East Coast, as well as in Texas and on the West Coast. 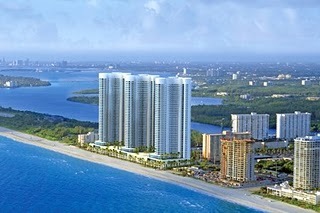 The store in Sunny Isles is just like the rest of their stores. What is most interesting about my experience at Wings is that this chain of beach stores is owned by the two Israeli men that met with Ehud Olmert in New York City on September 10, 2001. The founders of L&L Wings are Shaul (a.k.a. Shual) and Meir Levy, two Israeli Jews of Syrian origin. The day before 9-11, the men that own the L&L Wings chain of beach stores met with Ehud Olmert, then mayor of Jerusalem, in New York City. Other than what I have written, this significant fact has not been reported or discussed in the media, mainstream or alternative. According to the website of Wings, the company's corporate office and warehouse is on the second floor at 2800 NW 125th Street in Miami, where Shaul Levy is the registered agent. What's interesting about this address, near the Opa-Laca Airport, is that it is also the location of a company called Empire Art Products, Inc.